You have made a wonderful card Betty! Thanks for joining the DT-call of CCWS. Thank you for joining the DT-call at CCWS! What a lovely card you've made. That bird is a sweetie indeed. Thanks for joining our DT-call. Good luck! 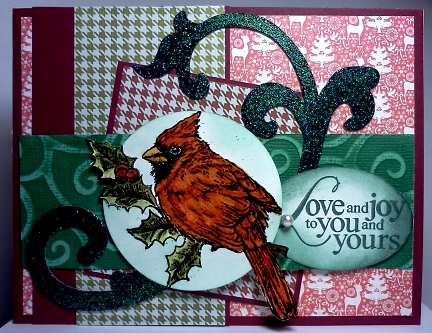 Betty, you made a great card with the sketch for the DT-call at CCWS, lots of luck! !